I'm excited to see what old bugs will be unleashed next. Every driver update is a roll of the dice! Maybe someday they will have working products. Yep, I'm actually getting some sticky modifier keys. It's not as bad as it used to be, but still there. I'm on a Mac Pro 2013 with Sierra, and I've had the stupid wavy lines and sticky modifiers forever, this latest update seems to have fixed both. I'll keep you updated if I see anything ugly come back. Are you guys both in Sierra? Topic: When will Wacom fix the problem of wavy lines on Mac Os Sierra? Re: When will Wacom fix the problem of wavy lines on Mac Os Sierra? This is my #1 issue as well. Still not fixed. Still makes the tablet unusable for any line work. 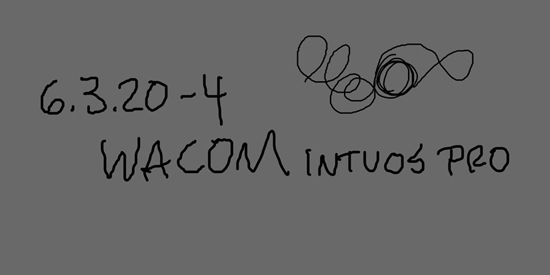 Wacom, please fix this immediately! Hey Wacom, if this wavy line is an Apple issue, why does 6.3.18-4 not produce wavy lines in Sierra on my 2013 Mac Pro?